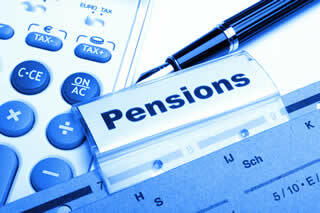 Pension changes - what you need to know. On the 6th April 2015 the UK Government made changes to the way you can access and control the money in your pension. These changes mean that you can do whatever you like with your pension money, we explore the benefits and potential pitfalls of the reforms. 06 April 2015 (Pension Freedom Day, as it's has now been called) has made pensions have become a lot more flexible. Prior to the recent reforms your biggest choice when you came to retirement was which provider to buy an annuity from – this was when you basically swapped your pension pot for a guaranteed lifetime income. The only other alternative was to jump through various hoops to try to access drawdown options on your pension pot instead. You should get financial advice as to how much you will get from your pension when you retire. This might sound boring and expensive, some advisors charge upto £700 to perform a detialed review of your pension, but no one should sleepwalk into retirement. The earlier you know what you are getting the better you can plan. Money Advice Online have arranged for our users to get a FREE pension review from an FCA approved advisor. That's not the case any more. As soon as you turn 55 you now have free reign to access your pension pot. You can take the whole lot out, although only 25% is tax-free. You can draw a regular income, or you can take money out as and when you need it. Also, you are not limited to one chance to take a single tax-free lump sum worth 25 per cent of your pension pot, with the rest taxed as income afterwards. Instead, Chancellor George Osborne has made it so can dip in and make as many withdrawals as you want, each time getting 25 per cent tax-free and the rest taxed like income. These changes apply to people with 'defined contribution' or 'money purchase' pension schemes, which take contributions from both employer and employee and invest them to provide a pot of money at retirement, but not to those with more generous gold-plated 'final salary' pensions which provide a guaranteed income after retirement. Some experts are also nervous about what people might do with their new freedoms. The main worries are that retirees will burn through their savings and run out of money before they die, and that they risk making investing blunders that will deplete funds put aside for old age. Our pension specialists can quickly advise you best options available and will perform a review free of charge. Simply call the team FREE on 0800 33 68 133. Alternatively use the pension review test and find your best option. Compare your pension performance and charges for FREE – No Obligation. I needed help with my pension. Money Advice Online arranged for an IFA to come to my house free of charge and talk me through everything. I can't recommend them enough.